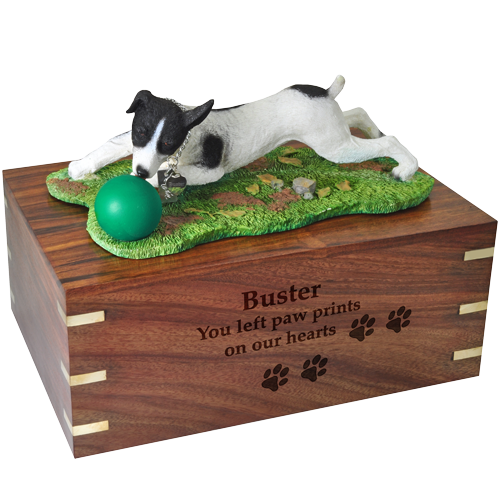 The black & white Jack Russell Terrier Ball on Grass is a large figurine. The black and white Jack Russell Terrier with Ball on Grass is a playful representation of this intelligent breed. 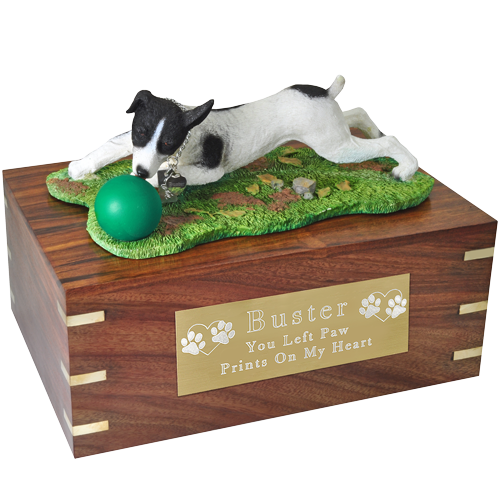 The realistic dog figurine is adhered to the top of a wooden urn available in two sizes. 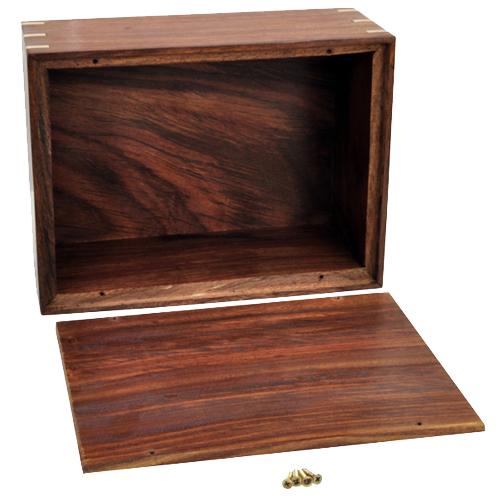 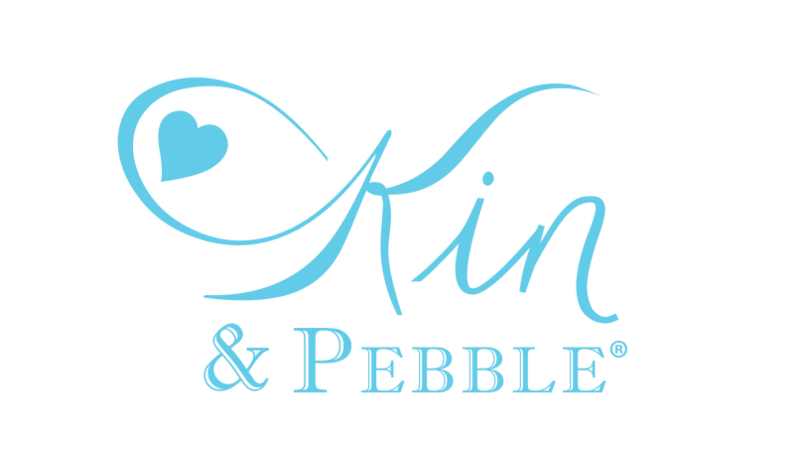 The urn can be engraved directly onto the wood's surface or a plaque in silver or gold finish. 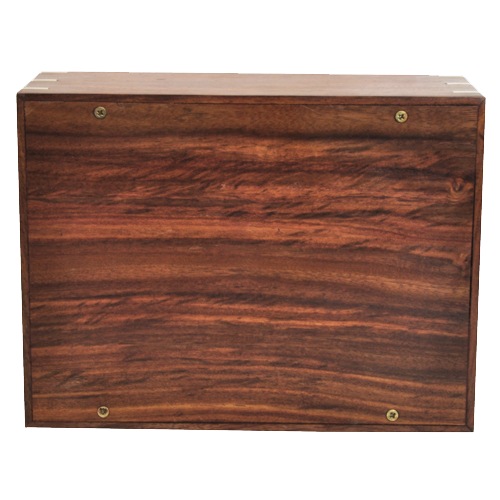 Urn access is located on the bottom of the vessel and secured with threaded screws.